Sessions was interviewed on Fox News Monday about the "zero-tolerance" policy. Attorney General Jeff Sessions, who announced the Trump administration's "zero-tolerance" policy in April, buckled down on the policy of separating children from their parents when they illegally cross the border in an interview on Fox News Monday night. In a departure from President Donald Trump, he did not place blame on Democrats in Congress. Sessions spoke to host Laura Ingraham on her show, "The Ingraham Angle," and said the administration is "doing the right thing." "We're doing the right thing. We're taking care of these children," Sessions told Ingraham. "They are not being abused. The [Department of] Health and Human Services holds them in good conditions. They work hard at it." (Pool via Getty Images, FILE) Attorney General Jeff Sessions listens as President Donald Trump delivers remarks at the 37th Annual National Peace Officers' Memorial Service at the U.S. Capitol Building, May 15, 2018, in Washington. The president has claimed Democrats are blocking his immigration reform legislation that he says would end family separation. On Monday, he tweeted, "It is the Democrats fault for being weak and ineffective with Boarder Security and Crime." "You heard what Mrs. Clinton said," Ingraham said. "The president could pick up the phone tonight and stop this policy of separating children from their parents." (Alex Wong/Getty Images) Eleanor Smeal, president of the Feminist Majority, speaks as protesters block the entrance of the headquarters of U.S. Customs and Border Protection during a protest, June 13, 2018, in Washington, DC. Ingraham posed a question to Sessions, asking what "the real truth" is. Sessions also pushed back against claims that the policy has echoes of Nazi Germany. Former CIA and NSA Director Michael Hayden, who served mostly under George W. Bush, tweeted a picture of a Nazi concentration camp on Saturday with the line "Other governments have separated mothers and children." "Well, it's a real exaggeration,” Sessions said of the comparison. "Of course, in Nazi Germany, they were keeping the Jews from leaving the country." 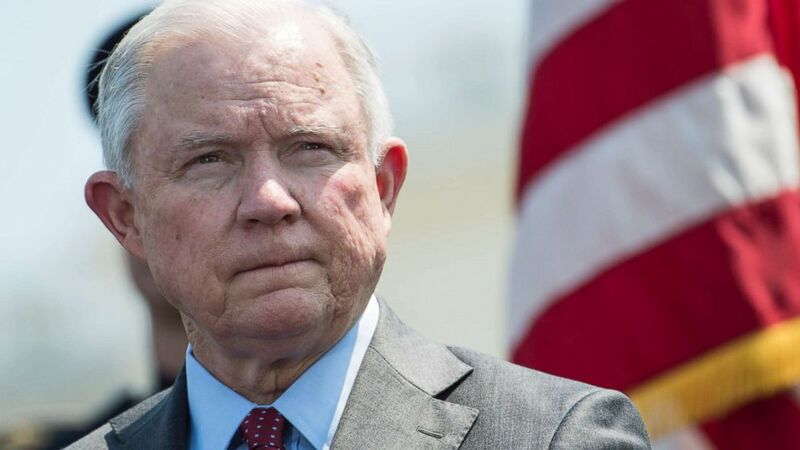 "Attorney General Jeff Sessions today notified all U.S. Attorney’s Offices along the Southwest Border of a new 'zero-tolerance policy' for offenses under 8 U.S.C. § 1325(a), which prohibits both attempted illegal entry and illegal entry into the United States by an alien. The implementation of the Attorney General’s zero-tolerance policy comes as the Department of Homeland Security reported a 203 percent increase in illegal border crossings from March 2017 to March 2018." 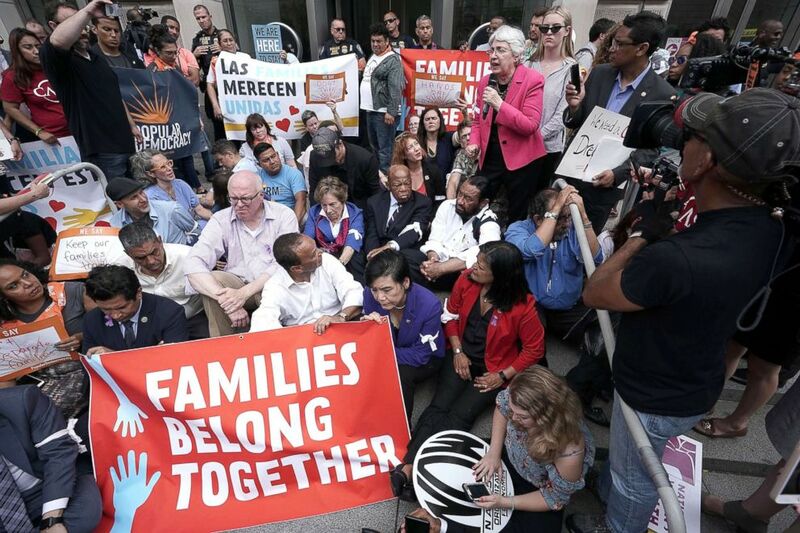 A bipartisan group of former U.S. attorneys is added its collective voice to the calls to end the family separations caused by the administration's "zero-tolerance" policy. In a letter addressed to Sessions, and published on Medium, the group says they are "appalled" by the outcome of the policy and say it represents a "radical departure" from standard Department of Justice policy. Former U.S. Attorney for the Southern District of New York Preet Bharara, a frequent opponent of the Trump administration, was first to sign the letter. "As former United States Attorneys, we also emphasize that the Zero Tolerance policy is a radical departure from previous Justice Department policy, and that it is dangerous, expensive, and inconsistent with the values of the institution in which we served," they write. "It is time for you to announce that this policy was ill-conceived and that its consequences and cost are too drastic, too inhumane, and flatly inconsistent with the mission and values of the United States Department of Justice."